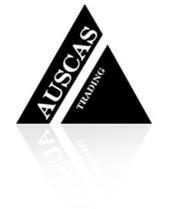 With more than 35 years experience trading worldwide Auscas Trading delivers an extensive range of animal products to our clients and associates in the food, pet food, pharmaceutical and cosmetic industries. Our products can be sourced from USDA, EU and/or Halal approved establishments. Auscas Trading is PrimeSafe licensed, export licensed through the Australian Quarantine and Inspection Service (AQIS) and an AusMeat Accredited Exporter.